Well, seems like Another Metroid 2 Remake wasn’t the only big fan game released this month! Oh no, a whole new Pokemon fan game called Pokemon Uranium Version was released as well! And while games based on the series are common, this one takes it to a whole ‘nother level! As you can see, the game looks incredible. You’ve got graphics on par with the DS titles, complete with neat weather effects and stuff. There are tons of new sprites and artwork as well as a new soundtrack to listen to. Heck, they even replicated some online features like the Global Trade Station, Wonder Trade and Mystery Gift! That’s pretty awesome for a fan made game released for free! Basically, this type acts a lot like the Shadow Pokemon from Pokemon Colosseum and XD. Their attacks are good against all opponents, but they’re also weak to all type attacks in return. So it’s a high risk, high reward type that requires very careful usage. And here’s the other interesting thing; only a few Pokemon in the game are naturally Nuclear type. Namely Nucleon, the Xenomite family, Hazma and Urayne. But the type isn’t limited to these species. Oh no, other Pokemon in contaminated areas can get it too. And unlike the natural Nuclear Pokemon, these ones have… issues. Namely, they’re very aggressive, will disobey orders and will sometimes even attack their own trainers! That’s pretty messed up, even for a Pokemon fan game! In addition to that, the game also has a few other interesting additions. Like a Pokemon Speech Translator that lets you talk to your Pokemon. A Nuzlocke Mode, that lets you do a Nuzlocke Run in game without having to voluntarily release your Pokemon. And a trainer test. This basically works out what kind of trainer the player is, and gives them a certain starter based on their answers. Focus on attacking? You get Raptorch. Play defensively? Then you get Orchynx. Try and be the best of both worlds? Then it’s Eletux for you. It’s an interesting mechanic, and a creative way to vary up how starters work. Add in all the usual additions (a new region, new villain team, new gyms and elite four, hundreds of new Pokemon) and you have a really impressive fan game with a lot to offer. Yes, it’s not all fancy 3D like X and Y onwards. And yes, it might be a bit darker than some official works. But damn, it’s a really impressive Pokemon title which actually feels like it could be a genuine title. Even more impressive is just how long this has been in development. Namely, more than 9 years. That’s a long development time for a fan game, and one that’s on par with the likes of AM2R and Brutal Mario on the longevity front. You have to give the team props for actually sticking to the game for all that time. 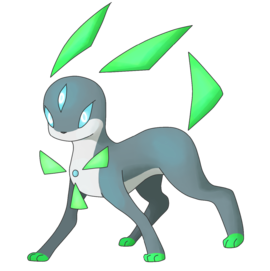 But what do you think of Pokemon Uranium Version? Is it an impressive fan game given that it’s been in development for nearly a decade? Post your thoughts here or on social media today! This is amazing! I'm totally going to download it and play it when I get the time. Anyone able to download it? I tried the official page and the links aren't working. Nintendo strikes again? Some links were removed, either by a legit or fake lawyer. I downloaded it the night I made that post. I just haven't checked the game out yet. Did you upload that or some random link? I know there are some bad links out there.